When the night comes, John Blaze turns into the Ghost Rider, a skeletal being clad in black leather with flames coming from its head. While in this form, Ghost Rider is very resistant to damage and has super strength. His weapon of choice is a bikers chain, which can grasp and tie up foes. The Ghost Rider is also very resistant to mystical attacks and has the power to control Hellfire, which burns the soul of its victims but leaves the flesh unburned. 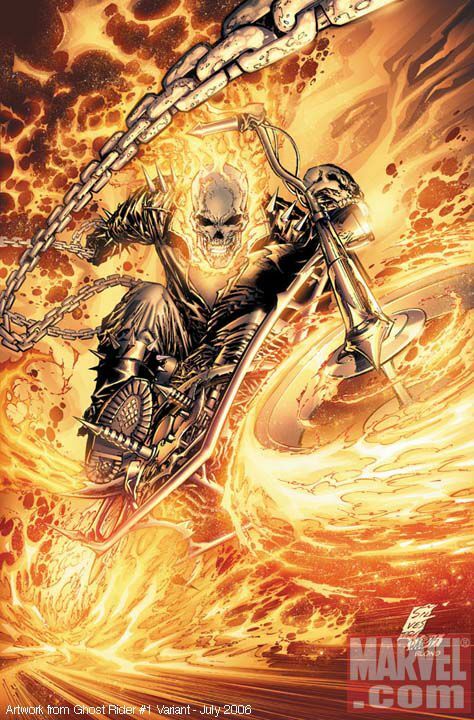 The Ghost Rider can also use his Hellfire to create a motorcycle from hell. The bike is much faster than ordinary motorcycles and can ride over water and straight up buildings. In an interview with artist Gene Colan, he states that Ghost Rider was to be a villain called Stunt Master in Daredevil. The writer, Gary Friedrich said, “…I'd like to make the villain a really weird motorcycle-riding character called Ghost Rider." It was Gene that suggested the character was too interesting to be a villain and should instead have his own title. Johnny Blaze was the son of Barton Blaze and Naomi Kale, who worked in a traveling motorcycle stunt show with Craig “Crash” Simpson. Crash and his wife raised Johnny and taught him how to ride and take care of motorcycles. Unbeknown to Johnny, his family was cursed. The first born son of the Kale line was cursed to become the Ghost Rider, a spirit of vengeance. His mother made a deal with Mephisto, a powerful demon. She gave her soul to Mephisto and asked that Johnny would not have the curse of the Ghost Rider upon him. Mephisto agreed. 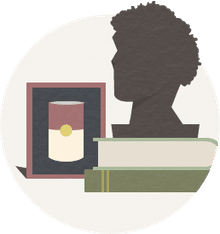 When he learned that his adoptive father Crash had cancer, Johnny learned of a spell to summon Satan and offered servitude to the devil in exchange for Crash’s life. What Johnny didn’t know was that he had actually summoned Mephisto, and the demon, although not making him the Ghost Rider, bonded Johnny’s soul with the demon Zarathos, making him a Ghost Rider instead. Ironically, Crash died shortly later attempting to jump over 22 cars. One night after Crash’s death Johnny transformed into the Ghost Rider for the first time. Johnny and the demon Zarathos fought for control over each other for some time. Johnny even left his longtime girlfriend Roxanne in order to try to avoid hurting his loved ones and to find a way to rid himself of the curse. In a battle with the soul eating Centurious, Johnny was able to seal both Centurious and Zarathos into the, “Crystal of Souls,” freeing Johnny of the curse and allowing him to marry Roxanne and have two children with her.